When I told my friend that I was taking him to a new burger place called JerryBuilt Handmade Burgers on Thursday night, he surprised me by heading out before I could even look up the address. "I know exactly where that is," he said. When we drove up to the location on Holcombe near Buffalo Speedway, I understood. 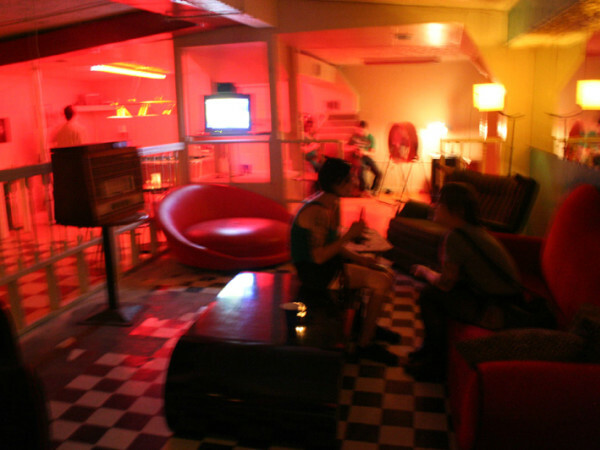 The giant orange neon sign outside with the outline of a bull is visible from blocks away. My friend, a Med Center resident, said he'd been watching the space for months, though he originally thought it was a bank. He's not exactly wrong — JerryBuilt is in a new structure that was originally planned as a Washington Mutual. Considering the open, airy dining room, you'd never know it. The choices are short and sweet: Hamburgers (single or double, with or without cheese), chicken sandwiches and hot dogs, plus crinkle-cut russet and sweet potato fries and milkshakes made from Blue Bell ice cream. 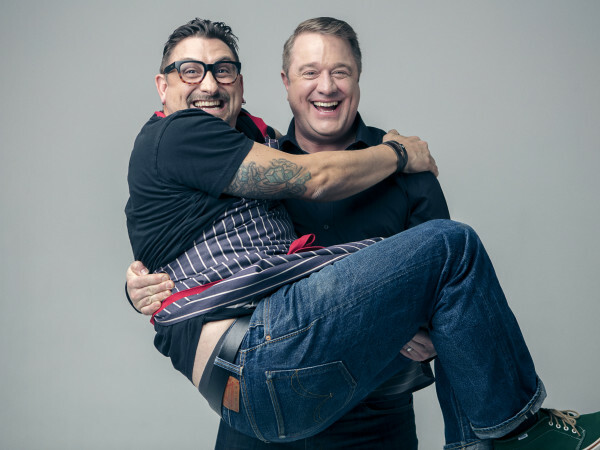 With an official opening on Saturday, JerryBuilt's menu was designed by partner Brooksy Smith, who also developed Quiznos and other chain concepts before joining with the other investors to create JerryBuilt. The choices are short and sweet: Hamburgers (single or double, with or without cheese), chicken sandwiches and hot dogs, plus crinkle-cut russet and sweet potato fries and milkshakes made from Blue Bell ice cream. 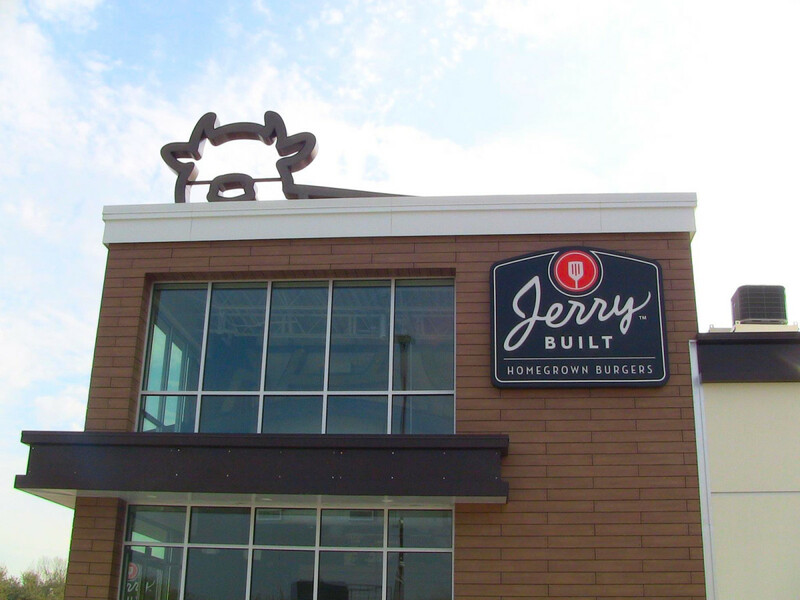 While there are plenty of burger joints in town, JerryBuilt reminds me more of the Chipotle model, with its focus on organic and all-natural ingredients, with all the meat products coming from ethical producers like Niman Ranch and Buddy's Natural Chicken in Gonzales, Tex. The ordering process is similar as well: Guests file through a line and describe the toppings and items they want to a smiling employee, who records it on a paper bag with your name and calls you back to the counter when your order is ready. There are some really thoughtful details — I loved the condiment caddies on the tables full of everything from mustard to sriracha, and JerryBuilt has two of those fun Coke machines from the future — and some less well-conceived notions. For example, the order line winds through grocery-like displays of produce — the actual produce used on the burgers, actually — to create what Smith termed "a Whole Foods experience." Which sounds great, but do you know how much avocados cost these days? And do you know how big my purse is? One thing that might hold back the concept is the food. (A basic component, I'll admit.) While I'm loathe to pass judgement on the offerings when the restaurant is still in soft launch, what makes Chipotle work is that people are willing to pay a bit more for better quality ingredients when they are also getting better, more flavorful food. While I liked the fries, JerryBuilt doesn't seem to have figured out that winning formula when it comes to their burgers — yet. 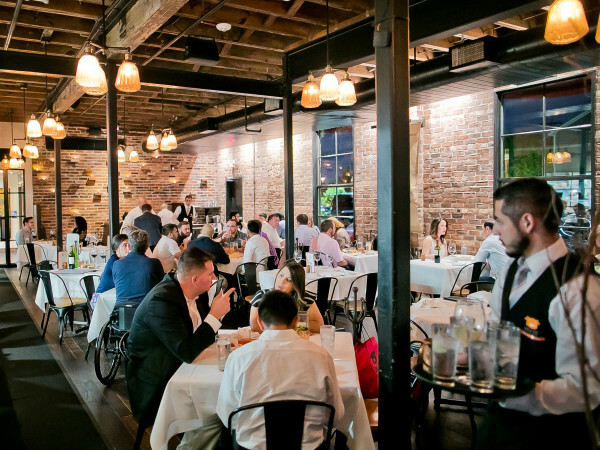 The owners seem confident that they have a good concept, though, and they certainly have a track record of success. 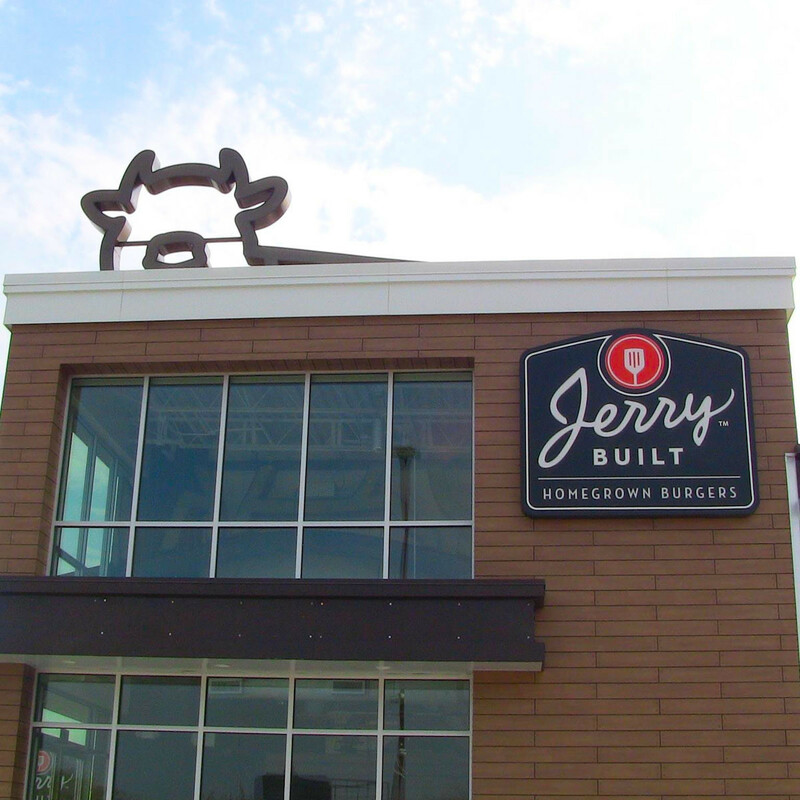 A second JerryBuilt Handmade Burgers is already underway in The Woodlands, set to open in a few weeks.